Hollywood actor Dimitri Diatchenko portrayed Russian villains and tough guys in “G.I. Jane,” “Indiana Jones and the Kingdom of the Crystal Skull,” “2 Broke Girls,” “Bones,” “How I Met Your Mother,” “Sons of Anarchy,” “General Hospital” and many other film and TV productions. He recently decided to play the bad guy in real life. On December 9, 2014, Diatchenko was criminally charged with killing his female roommate’s pet rabbit and threatening to do the same to her. 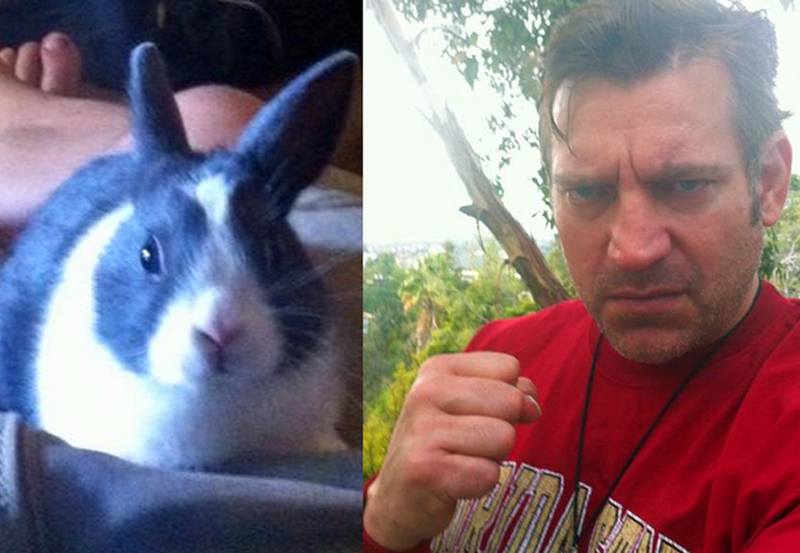 In a scene reminiscent of “Fatal Instinct,” Dimitri Diatchenko skinned the bunny, Ella, whom he previously described as his roommate and “the chillest rabbit” ever. Last Sunday, bunny Ella became the innocent victim in the falling out between Diatchenko and his former girlfriend, Amie. After the pair stopped dating, they continued to live together. However, when Amie wanted Diatchenko to move out, he took it out on her pet. If convicted, he is facing a possible maximum sentence of four years and eight months of incarceration. Diatchenko’s arraignment is scheduled at 8:30 am on December 30, 2014 in Department 100 of the Los Angeles County Superior Court, Van Nuys Branch. At the arraignment, the prosecutor will be asking that bail be set at $90,000. Diatchenko’s publicist Charles Sherman said that he no longer represents the actor. Diatchenko’s manager Barry Bookin and talent agent Pam Ellis declined to comment at this time.